Cradles and Graves: Even More Injections! HOORAY!! Today was my visit with the perinatologist. This was the third doctor with whom I've discussed starting Lovenox from embryo transfer. The other two said no. I've been doctor shopping for drugs! Whatever it takes, I guess. My great news is that this perinatologist IS on board with the idea of allowing me to start Lovenox from embryo transfer rather than waiting for a (hopefully) positive pregnancy test. She emphasized that there's no research for or against doing this. I assured her that I know all too well that there's practically no research on anything related to my situation. I just want to give this my best shot! I'm rejoicing because I get to give myself even more injections. I can't believe this is my life. The perinatologist also ordered a whole lot of blood tests on me. Many are repeats of thrombophilia tests I had three years ago because she says results can change over time. My blood is headed to the Mayo clinic and it'll take at least a week for results. This is just to see if we can find more clues, not to determine whether Lovenox is indicated or not. Regardless of the results, she said she would definitely prescribe it based on my history. She also said to take additional supplements - Omega 3, Vitamin D, and a massive amount of folic acid. Next week is the nurses consult for my next IVF cycle and also a wanding to check for cysts. In addition to today's appointment, I also had to visit a doctor last week. These last two appointments felt very strange because I got to keep my pants on! Of course it would have been even stranger if I didn't have my pants on, since one appointment was for an ear problem! LOL...yes it is definitely a little weird to go to an appt and keep my pants on also...;) And YAY for a doc that will put you on Lovenox! That is great news! That is excellent news! i am so glad you will be able to take Lovenox from the get go. Good luck! I hope the tests reveal something helpful. 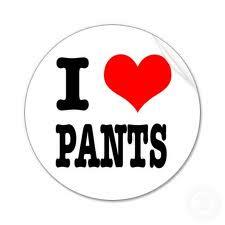 I hate it but I had to laugh at the loving pants button! The first time we went to my perinatologist, I walked in and started to drop my pants and the tech said, "Oh, oh no honey! Abdominal!" After 10 years of so many different procedures and all the stuff with the RE, I was just so darned used to dropping the pants!!! Hooray for the Lovenox doctor!!!!! I take a fabulous Omega3-DHA supplement that my chiropractor (and nutritionist) has in his office--I think it's from metagenics. It's fish oil, and I take a teaspoon a day, but it is AMAZING in how rich it is (purely pharmaceutical and safe for baby!) and will do wonderful things for growing baby brain too!!! I get bonus points from John and his mom for taking a teaspoon of fish oil every morning, but honestly, it's not bad--tastes like lemon oil and I just drink a sip of water after! More Answers or Just More Questions?